I made this a long time ago. The grassy-looking text was the hard part. I don’t remember where I stole the quote from. The lawn-mower and grass is from my backyard. Edit: I didn’t like the old version, so I updated it a bit. Oh yea, and here was my first attempt at the grassy-text (or whatever the heck it should be called). I also tried to add some ‘realistic looking’ flames for no apparent reason. The grass is from my backyard. Is blogging about the back lawn an effective way to spend your time? Shouldn’t you be developing a machine for human teleportation, building crazy robotics or solving world issues? If this doesn’t work out you might want to start with your drivers’ license! 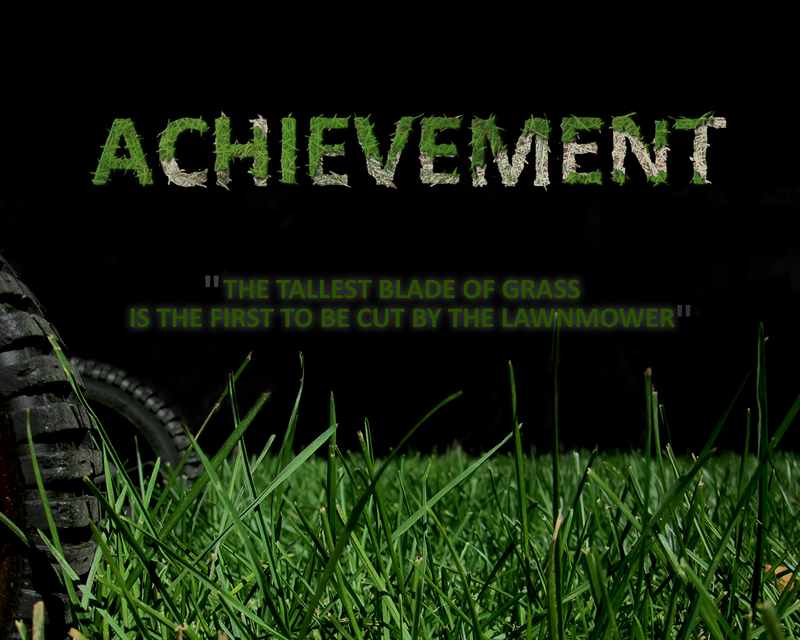 Is the tallest blade of grass really the first to get cut? The five minutes I took to make this post probably was effective use of my time. I wish I could be solving important issues, but that’s not my role at this point, and it probably never will be. In an ideal world I would be answering a phone all day or… wait… no, never mind. About the drivers license; burn on me. Really though, when I need one, or want one, I’ll get one. 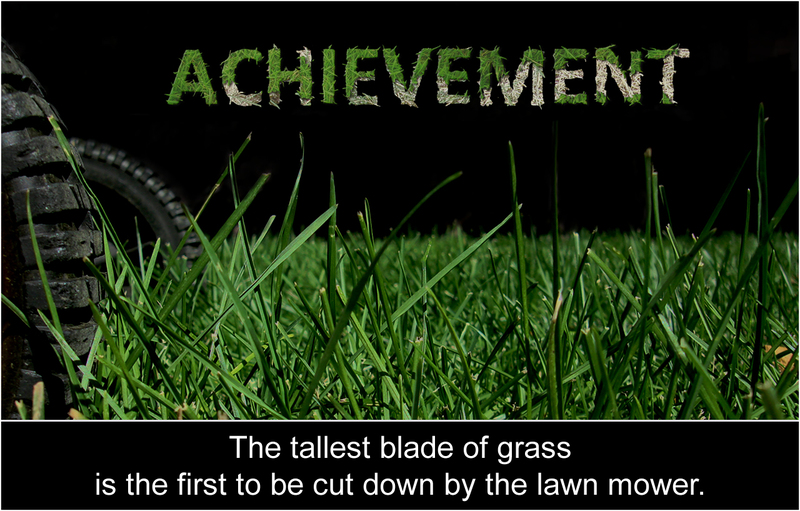 The tallest blade of grass probably isn’t the first to get cut. Regardless, the statement still holds a lot of demotivational merit (if that’s what it would be called).